Originally established in 1981, the Lasseters hotel casino, is an entertainment complex which houses an Aussie casino, hotel and the Alice Springs Convention Centre. In total, the hotel features 205 rooms which have been rated with a 4.5 star rating. 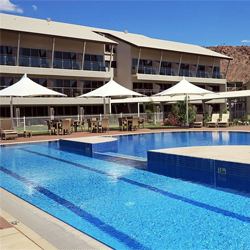 Based on the fact that it is the only casino in Alice Springs area, Lasseters enjoys visually appealing surroundings alongside the banks of the Todd River. Guests have a selection of four different restaurants. The Juicy Rumb Bar and Grill features a covered deck that offers some of the best views in Alice Springs. 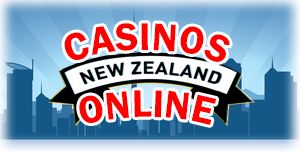 Cashbah is located at the heart of the casino and is an ideal place to have a drink or eat a meal, so that you can take a break from all the gaming action that lies within the casino. Tali offers authentic local Australian and Asian cuisine, with a splash of the outback. And last but not least Splash is a poolside cafe that provides a wide variety of options for people who are health conscious, such as their infamous health protein smoothies. As mentioned before the hotel features the Alice Springs Convention Centre as well. With its abundance of natural lighting and the spectacular views that it has to offer, it’s a welcoming modern alternative for private events or conferences. Additionally, the centre houses 8 flexible meeting rooms which can cater for up to 1000 individuals, free Wi-Fi and a wide array of off-site dinner locations within close proximity of it. As far as their international-standard casino goes, it is packed with a wide variety of table games that’ll surely keep you entertained. From as early as 10:00 am on any given day, guests can utilize their electronic gaming machines which offer a wide selection of games from the popular jackpot machine, pokies and Vegas Star Roulette. As far as their table games go, Lasseters features all the games you would expect from a hotel casino of its caliber such as Roulette, Blackjack, Omaha, Texas Hold’em, Baccarat and Pontoon Caribbean Stud Poker just to name a few. Additionally it’s also worth noting that it features the Diamond Lounge. The Diamond Lounge, which as been referred to as the most exclusive gaming experience within Australia. With a total of 54 of the latest electronic based games, a private lounge, four tables and luxurious premium seating, when you look at the fact that this is topped off with an exclusive food and beverage service, it comes as no surprise that the Diamond Lounge is in fact the most excessive gaming experience that you will be able to find in Central Australia.